Snippets of Jack: "You may throw my hat"
"You may throw my hat"
When most people talk about pirates the topic is generally focused on their weapons or their ships. But you can really tell a pirate's personality by their hat. The Brethren Court is full of personalities and hats. So I thought that would be a great place to chose my 4 favorite hats, and the Pirates that go along with them. 4. Mistress Ching - No Hat. 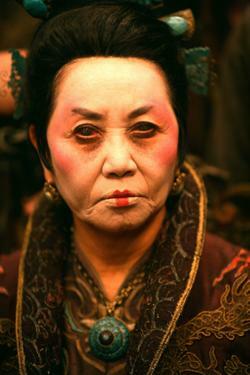 Mistress Ching is one of the few female Pirate Lords ever to sail the seven seas, and she did it hat-less. (well she has this super cool bow, but still not a hat.) Ching once captained a huge fleet of ships the terrorized the Chinese coast for years, However when it came time to fight the British Navy she opposed Elizabeth Swann's plan to fight head on, and instead voted to camp out in Shipwreck Cove and let the Navy try and beat them (the pirates) in their impenetrable city. In my opinion this shows her personality because she likes to stick with what she know. Take her bow and clothes for instance; even though she leads a rouge lifestyle she still dresses like a proper Chinese woman. She never gave into the dress code of the pirate lifestyle. She chose to be elegant and yet still look like the rich old pirate she truly is. And everyone seems to respect her, and for good reason in my opinion, she is the only one with any good ideas! 3. Ammand - Bright colored Turban. Unlike his bright colored turban Ammand wasn't the center of attention during the gathering of the Pirate Lords, except when Captain Barbossa suggested freeing the goddess Calypso from her human bonds which were placed on her by the brethren court many years ago. When Hector voiced his idea Ammand was outraged and even suggested shooting Barbossa for his outlandish plan. Later on during the gathering Ammand and the other pirates were attacked by a group from the EITC called the Black Guard (also known as the Black Coats) He showed his true colors as he fought to defend his section of Shipwreck city, Brave yet stylish. 2. Barbossa - Fancy with a huge Feather. Barbossa likes to think he's in charge and is always trying to be seen or heard, so ,many years ago he threw a feather in his cap and decided he would be self elected King for a day; unfortunately for us that day never ended. And the Brethren Court just fed his fantasy by letting him band the improvised gavel to start the meeting in which they would discuss the war against piracy. Elizabeth proposed the Pirates should band together and fight, but being the cowards that they were, most of the pirates opposed that plan. Mistress Ching suggested they retreat to their fortress Shipwreck Cove, and finally Barbossa's idea was to unleash the bound goddess Calypso and use her to fight the Navy. He almost got shot because of that stupid idea. Unfortunately he survived. Later on in the story his plan did work, but it was still quite outrageous. 1. Jack Sparrow - Plain and Boring. Lets face it, Jack had to have something about him be boring or we wouldn't be able to handle the coolness. But anyways back to the gathering. 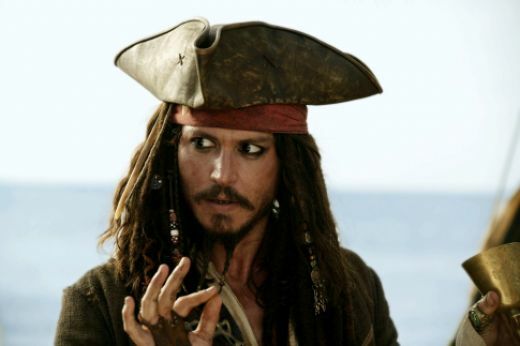 After the outbreak over stupid Barbossa's outlandish idea, Jack threw in his two cents. " We must fight...To run away" Well isn't that interesting. 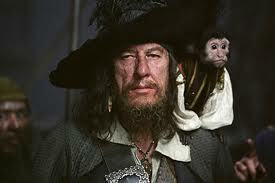 Barbossa informs Jack that starting a fight means starting a war, and wars can only be declared by the king. (Barbossa has to be a part of every conversation.) The court consulted the Code and found this to be true, so election time it is. Everyone voted for themselves except Jack who voted for Elizabeth Swann. The Court was quite confused by this strange turn of events. Eventually newly elected King Elizabeth's plan was grudgingly approved and Hector, Jack and Elizabeth set of to meet with the Beckett, Davy Jones, and Will Turner; for a good old game of Parley.